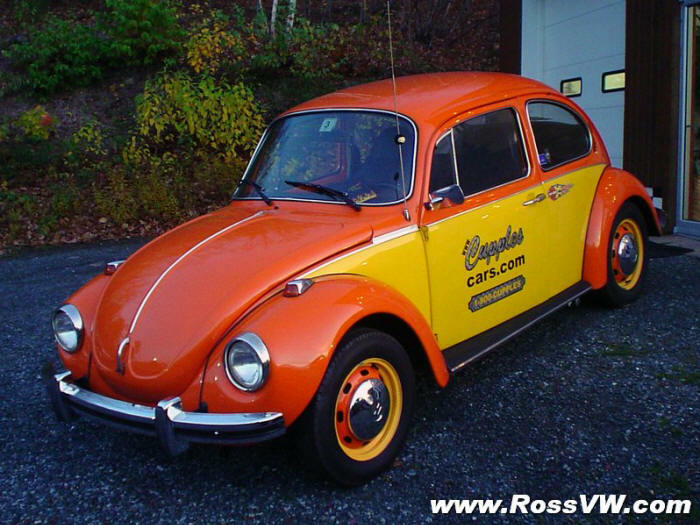 Once from California, this 1973 Super beetle is in really great shape. It has a 1776cc Motor with Hydraulic lifters, and really moves! 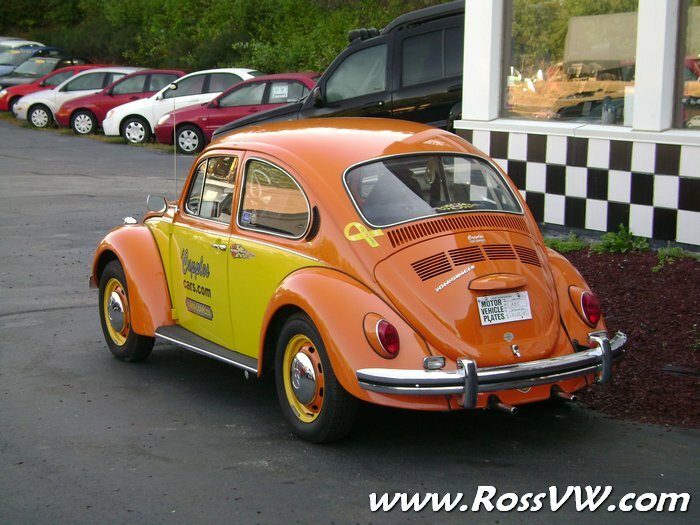 One of the former owners decided to two-tone the beetle orange and yellow. (The orange is the factory color). 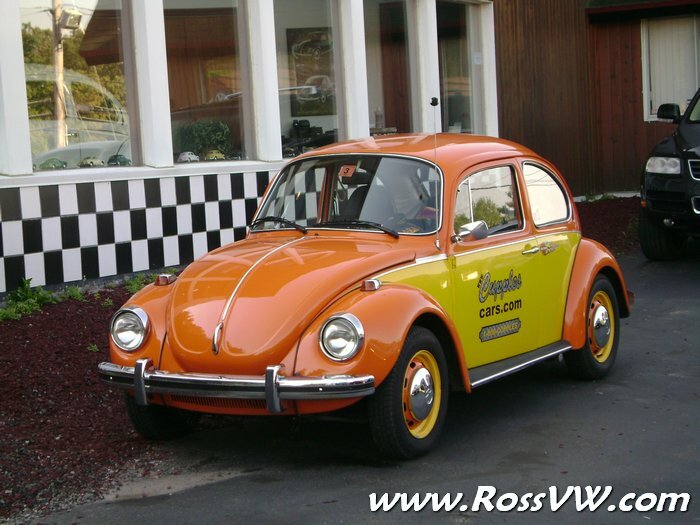 The license plate prior to my purchase read "CITRUS," a very fitting title for such a bright beetle. 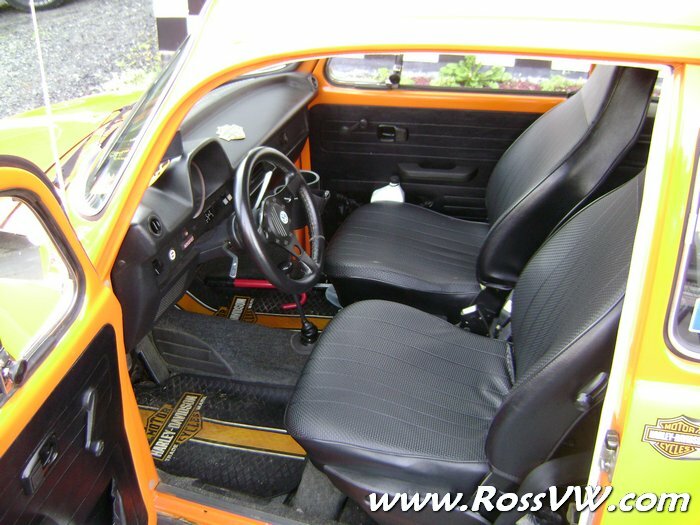 1973 was the second year for the Super Beetle to have a rounded windshield and updated dash board with the speedometer housing protruding from the dash (much like the new beetles). The McPherson front suspension really provides different handling characteristics than the standard beetle's torsion bar front end, and this "Super" is really fun to drive. 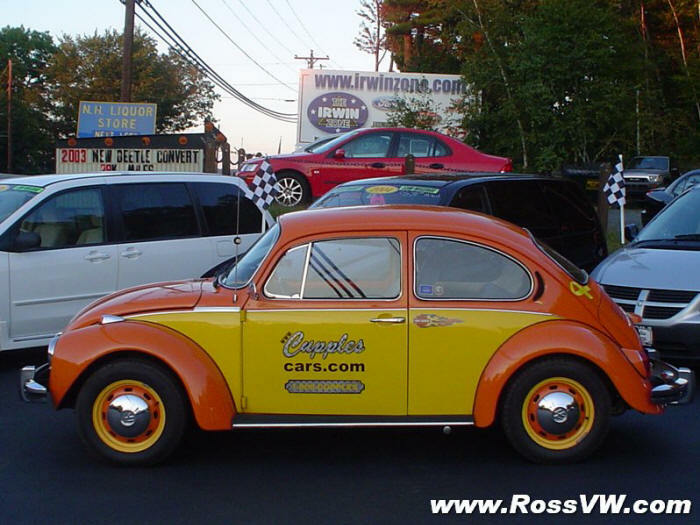 The bumper blades, front turn signals, rear turn signals, and separate reverse lights are from earlier beetles and make the exterior of this Super beetle very unique (not to mention those two-tone wheels! ).